A Kaduna-based non-governmetal organization, Life Education Training Centre for People with Disabilities said it has concluded plans to distribute free 20,000 white and green canes to visually impaired persons and people with low vision across the country to commemorate this year’s world white cane day. White cane also known as guide cane is used by visually impaired persons to move around without necessarily being supported by anybody especially when they are in familiar environment. The commemoration started in America in 1964 after a joint congress of representatives and senate passed the resolution. 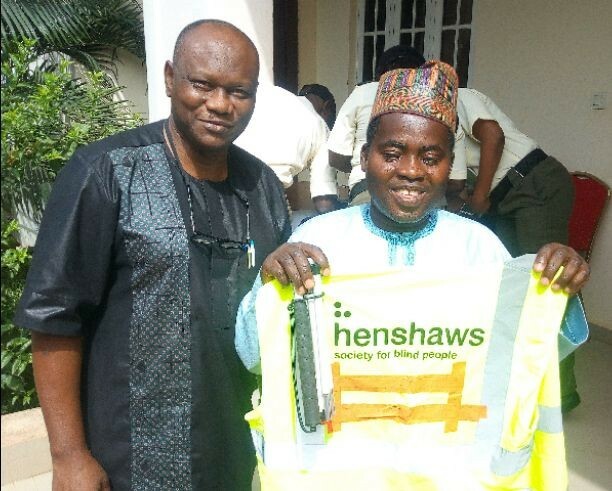 Executive Director of the Centre and a Producer with Federal Radio Corporation of Nigeria, Kaduna Network Centre, Salisu Ibrahim who himself is visually impaired said, his organization gathered people in this category to provide them with first-hand information as regard their mobility and protection. According to Salisu, visually impaired citizens in Nigeria need policies and laws that will enforce the use of white canes to their advantage. “We are gathering here today to commemorate and create awareness, understanding and provide first-hand information to policy makers and general public on the significance of white cane which is celebrated every 15th October. “Our basic appeal to policy makers is that, we need policies and laws that will enforce the use of white cane by visually impaired citizens in our society and to provide protection to these group of persons while using the cane on the streets. White cane is international symbol of blindness and another symbol of physically impaired citizens in our society. “It is the first of its kind in Kaduna state while it is been commemorated in places like United States of America for the past 53 years. “To achieve this and as our contribution, we planned to distribute 10,000 white canes to 10,000 visually impaired persons and another 10,000 green canes for 10,000 citizens with low vision in Nigeria”, he stressed. Earlier, Andrew Gani-Ikilama of Knowledge for The Blind Initiative reiterated the importance of the canes to blind persons as they move around independently, calling on the policy makers to include the blind in their policies and laws like creation of zebra crossing to help them move about to do their legitimate businesses.